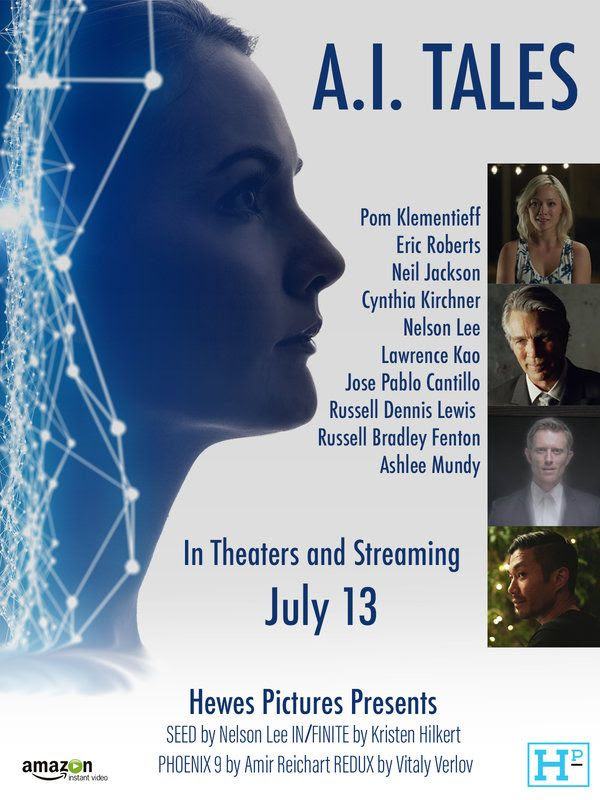 A.I Tales is an anthology of four short Sci Fi movies. Not entirely sure of the connection between them, it certainly doesn't seem to be anything obvious other than the genre. 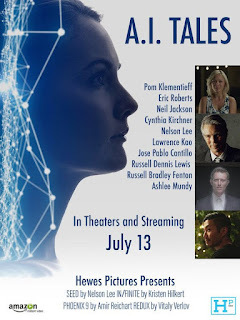 Either way none of them feature artificial intelligence but it is an interesting collection. SEED is the first one. Directed and starring Nelson Lee as the lead. A husband and father who is living with various regrets and feels that he played his life fairly safe celebrates his 40th birthday. Unfortunately in a time in which the world is overpopulated once you turn 40 you are required to euthanize yourself. IN/FINITE (Kirsten Hilkert) is the story of a shy doctor that chooses a life changing career path and spends one last day with her unsuspecting family. PHOENIX 9 (Amir Reichart) is set in a post apocalyptic world where a group of struggling survivors find a way of escape but at a huge cost. And finally..... REDUX (Vitaly Verlov) shows a scientist sending urgent messages via a time machine to warn of an imminent attack. Some great concepts covered but unfortunately not that well executed by most. I have to admit to finding them all a bit slow and boring especially the first two. Something which I find does not go well in shorts is a lot of dialogue , due to the nature of them being shorts it usually means heavy dialogue and plot is rushed, confusing and comes across rather unnatural which shows a lot in SEED and IN/FINITE. PHOENIX 9 has some good effects and a great group dynamic making it my preferred movie out of the four. REDUX was really muddled and confusing but featured a tiny cameo appearance from Eric Roberts. The acting wasn't great but is watchable. All the movies were well shot and composed but were all a bit pedestrian and stopped before anything really got going.